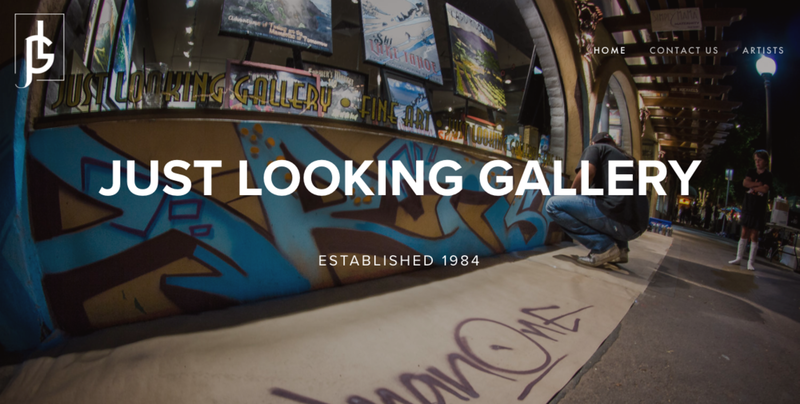 For over 33 years Just Looking Gallery has gained the reputation as a premier Fine Art Gallery along the Central Coast. Throughout that time we couldn't be more thankful for all of the people, local to international, who've walked through our doors and become part of the Just Looking family. We are excited to announce the release of our new website! With a new, clean design that's easy to navigate, our website provides more comprehensive information about the artists and artwork that we're showing, on a format that's mobile compatible, while enabling our collectors to communicate and interact with us, and purchase prints and originals directly through the site. More Comprehensive Information. Soon You'll have a PhD in Your Favorite Artist. Each featured artwork will have multiple images posted with detailed descriptions of the art piece and we'll be regularly updating the blog with information about our artists, what they're working on and any special events we have planned. Mobile Compatibility. Our website looks just as good on your smart-phone as it does on a desktop. Scroll, tap and zoom, our website is ready for you and your fingers to cruise our new site. Communicate With Us. Call us your art guys, your art consultants or even your art enablers; you'll be able to get to know us even better through our blog posts and you'll always be able to use our "Contact Us" page to email or call us. Purchase Prints and Originals. Each of the art pieces that we'll be showing in the gallery will be featured on our website, and with the brilliance, ease and security of Credit-Cards and Paypal we'll be able to make arrangements for you to buy your favorite pieces without having to put any money in a Downtown Parking-Meter! We're a very social gallery and we love it when you come by the gallery to visit with us to add a new piece to your home and collection, but we want to make sure that our website is an easy point of reference for you, so you can now easily buy your favorite art piece with incredible convenience.